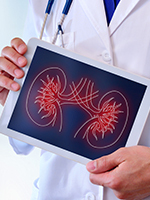 Kidney cancer is among the 10 most frequently diagnosed cancers in men and women.1 According to the American Cancer Society, approximately 73,820 individuals will be diagnosed with cancer of the kidneys in 2019, and approximately 14,770 will die from this disease.1 How much do you know about kidney cancer? 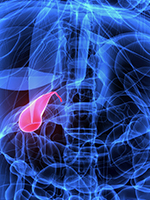 Gallbladder cancer is a very rare cancer that starts in the gallbladder and is extremely difficult to diagnose in the early stages.1 According to the American Cancer Society, approximately 12,360 individuals will be diagnosed with cancer of the gallbladder and/or nearby large bile ducts in 2019, and approximately 3960 will die from this disease.2 How much do you know about gallbladder cancer? 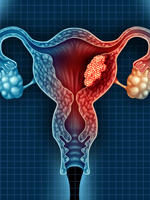 Endometrial cancer starts when the cells in the inner lining of the uterus grow out of control. 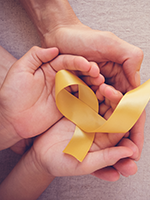 According to the American Cancer Society, approximately 61,800 women in the United States will be diagnosed with endometrial cancer in 2019, and approximately 12,160 women will die from the disease.1 How much do you know about endometrial cancer? Testicular cancer is a malignancy that originates in one or both testicles, or testes. 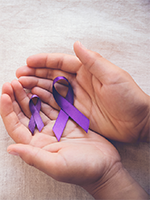 According to the American Cancer Society, approximately 9310 men in the United States have been diagnosed with testicular cancer in 2018, and approximately 400 men will die from the disease.1 How much do you know about testicular cancer? 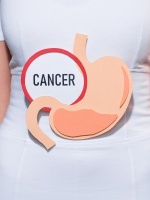 Cancer that originates in the stomach is known as gastric cancer. According to the American Cancer Society, approximately 26,240 individuals in the United States will be diagnosed with gastric cancer in 2018, and approximately 10,800 individuals will die from the disease in the same year.1 How much do you know about gastric cancer? 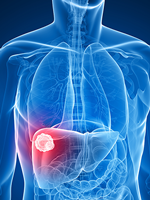 Cancer that originates in the liver is known as primary liver cancer. According to the American Cancer Society, approximately 42,220 individuals in the United States will be diagnosed with primary liver cancer in 2018 and approximately 30,200 individuals will die from the disease in the same year.1 How much do you know about primary liver cancer? Myelodysplastic syndromes are a group of extremely rare bone marrow failure disorders that are often unrecognized and underdiagnosed. 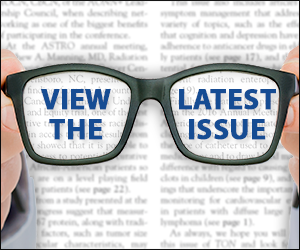 According to the National Cancer Institute, approximately 10,000 individuals in the United States will be diagnosed with myelodysplastic syndromes in 2018.1 How much do you know about myelodysplastic syndromes? Hodgkin lymphoma is an extremely rare hematologic cancer that affects lymphocytes and the lymphatic system. According to the American Cancer Society, approximately 8500 individuals in the United States will be diagnosed with Hodgkin lymphoma in 2018, and approximately 1050 patients will die from the disease.1 How much do you know about Hodgkin lymphoma? Gastrointestinal stromal tumors (GISTs) can appear anywhere throughout the gastrointestinal tract. They are soft-tissue sarcomas that develop as the result of specific changes in the DNA of specialized nerve cells within the walls of an individual’s digestive system.1 How much do you know about GISTs?